I braised a chuck roast with some veggies. 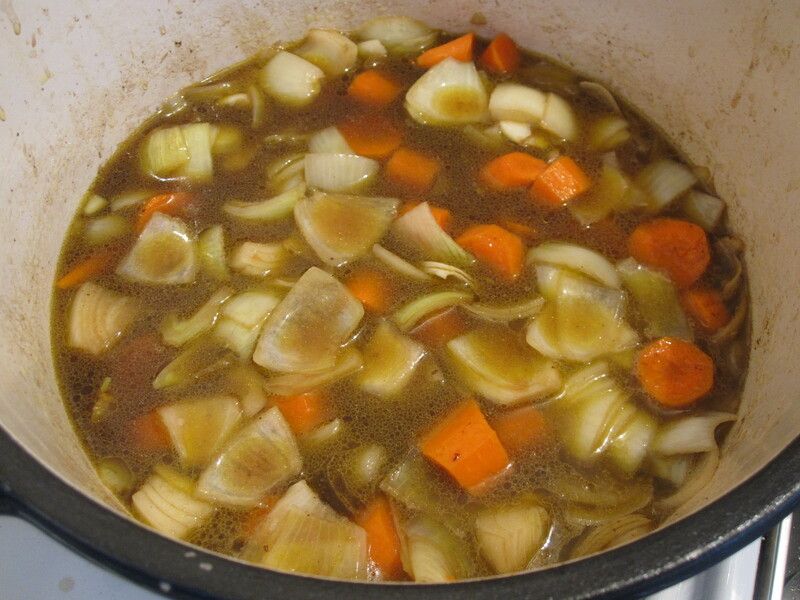 The pot was deglazed with bourbon which added to the sauce. It was tender and flavorful on a fall day! 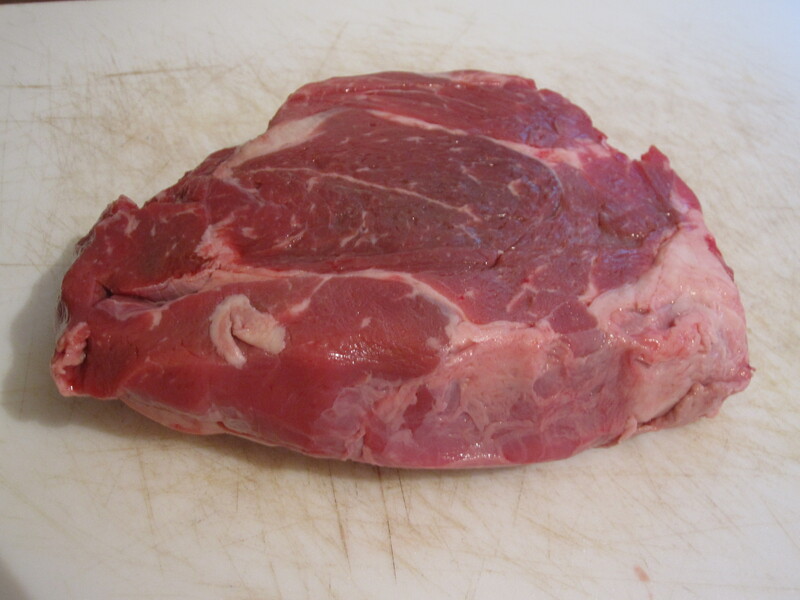 This was a great way to sort of stretch a thriftier cut of meat into a great meal. 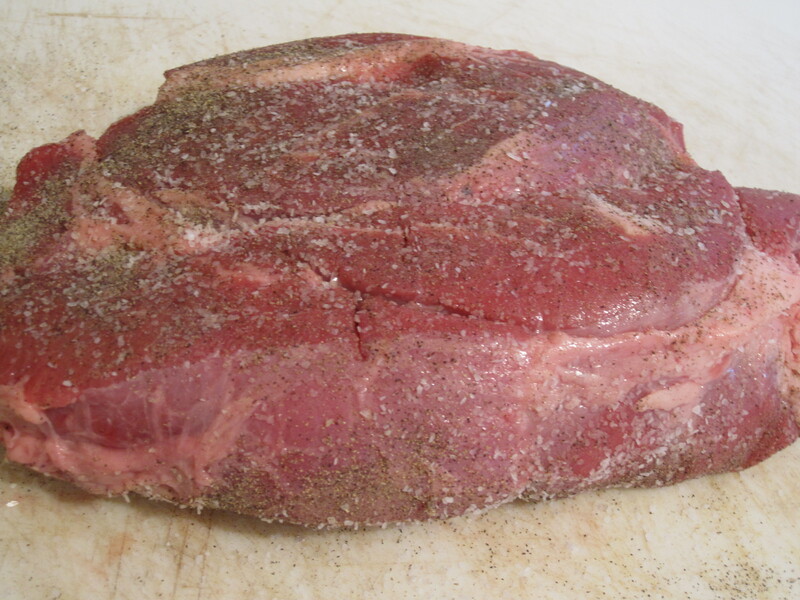 Started with about a 3lb cut of chuck and salted and peppered it. 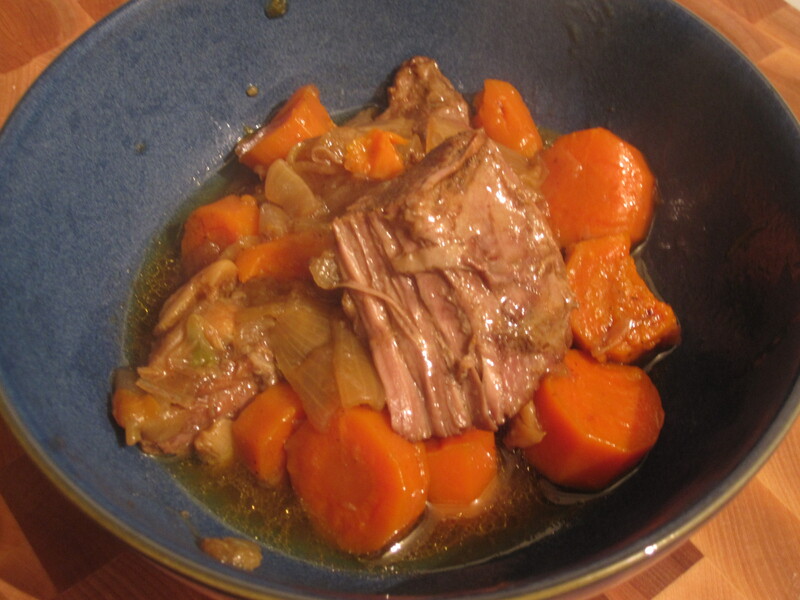 This was a dutch oven recipe from start to finish. 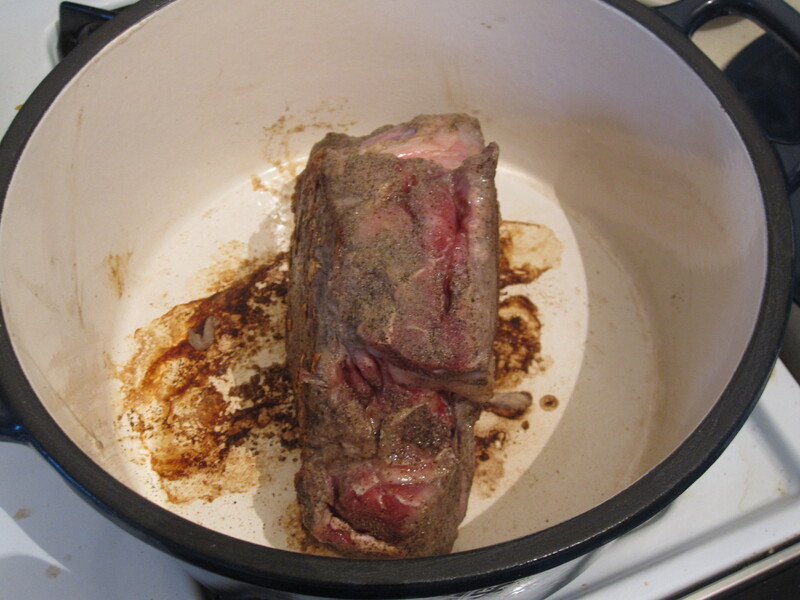 The first step was to brown the meat on all sides in the pot on the stove top. Make sure you turn it to brown even on the sides. It should be thick enough to stand on the edge…sometimes with a bit of help. Just get a good sear on all sides, about 5 minutes on each side. 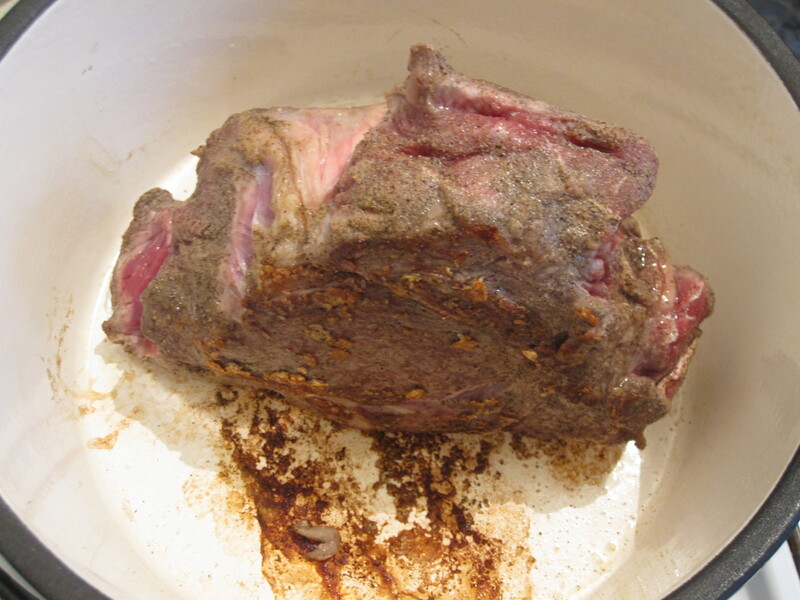 Once done, remove the meat and keep the flame going on the pot. 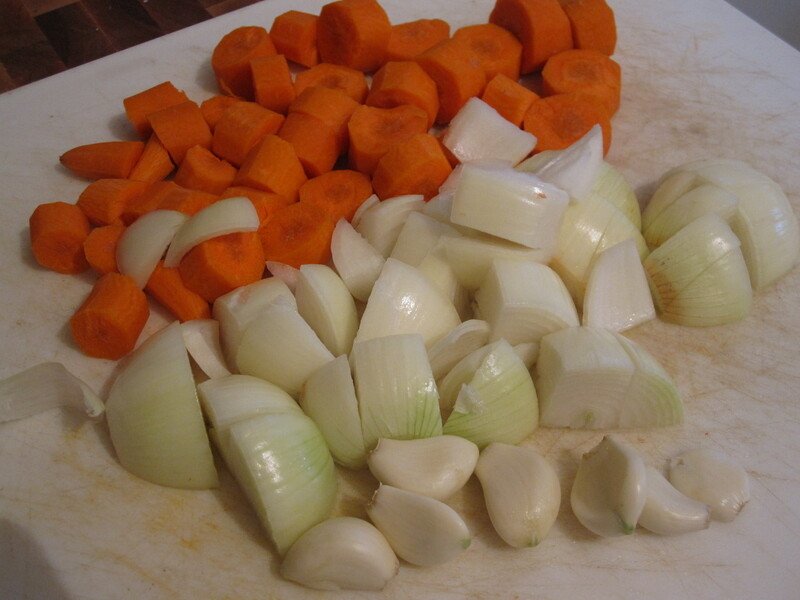 While it was browning I cut the vegetables, this time garlic, onion, and carrot. Most people would include celery, but I think celery is the devil and never include it. I then poured about a half cup of bourbon in and deglazed the pot for a quick minute. I then added some oil and a dash of balsamic and once hot, added the vegetables. 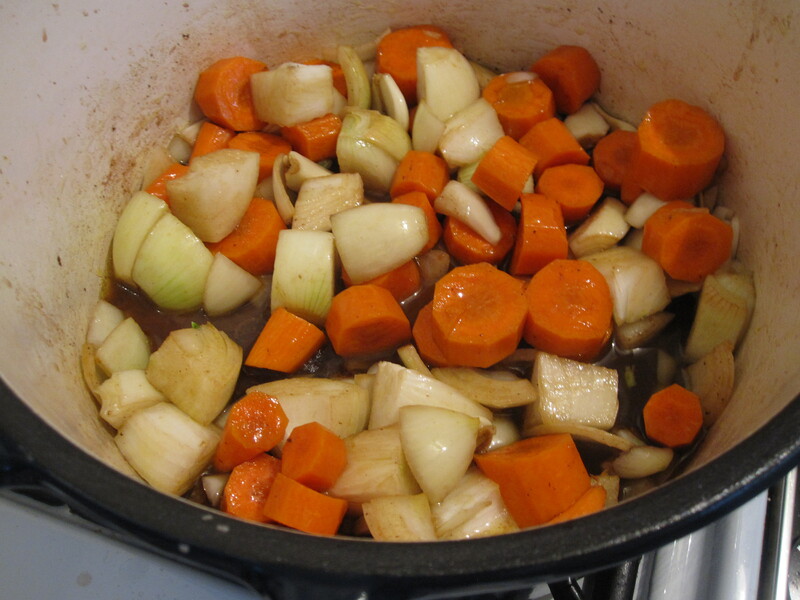 After a few minutes of sauteing, I added about 2 cups of beef broth and brought everything to a boil. 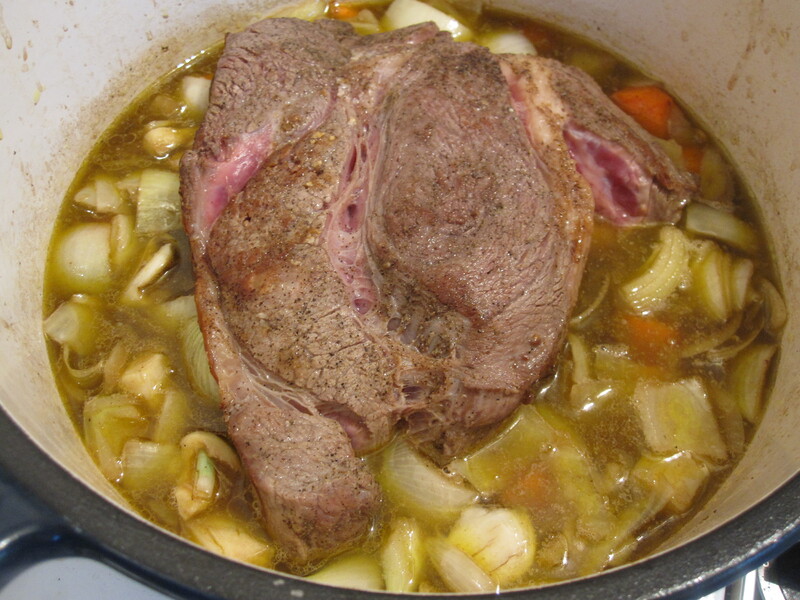 After a few minutes of boiling and stirring, send the meat back in, cover and place into a 350 degree oven. Flip the piece after an hour and cook for another hour. The meat was pretty much ready after the two hours and I left it in at 200 degrees for about another half an hour until we were ready for dinner. We scooped it up sort of like a stew without as much broth and it was great. The meat was so tender, well spiced, and juicy. 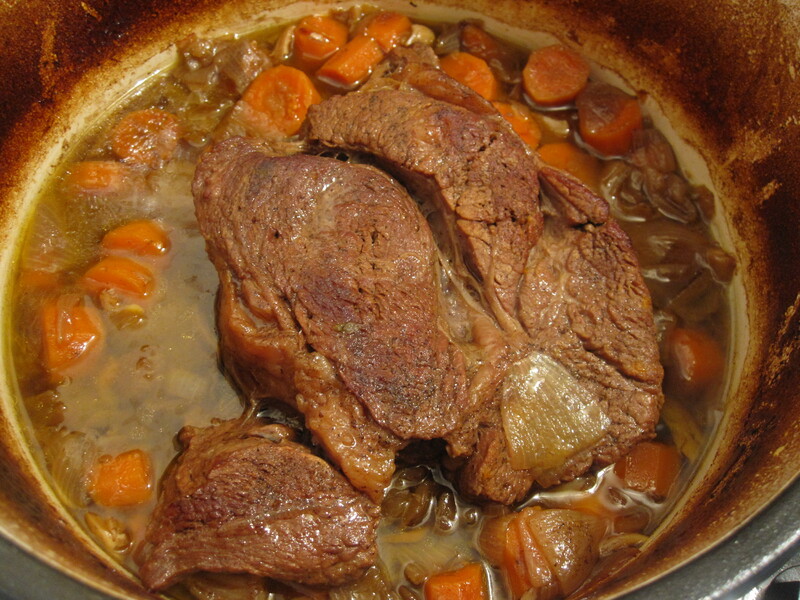 This entry was posted in Beef, Uncategorized and tagged Beef, beef broth, bourbon, bourbon deglazed, braised, braised recipe, Carrot, chuck roast, dutch oven, garlic, onion. Bookmark the permalink.